This is how I keep it all together. a simple notebook, where all my random thoughts and to-do lists get written down. Well, I wouldn't say I am a super organized person but things need to get written down and so I have a notebook to do keep it all together. Remember this tape notebook I blogged about last year? Around Christmas time, it just disappeared! I was convinced elves took it. But it probably just got lost in the abyss of my endless junk.. ;) I was a little lost without it. So I had to move on and create another notebook. I picked this notebook up from a vendor at Renegade Craft - it's made with an old book cover. I always have to have a notebook. It was just something I started out of high school, writing things down and everything - I shared my collection of notebooks I've kept ever since if you want to see past notebooks. >> Great article by Rena Tom - "Doing less to get more done"
>> Another awesome article about creating a social media strategy over at papernstitch. >> oh, hello friend events page has been updated - Vintage sale next month (rsvp now!) and Nick & I are headed Renegade - Austin in May! >> Don't forget to enter the September Willow Giveaway! Nick worked late pretty much all this week so this weekend we are just taking it easy and spending time together to make up for the missed evenings ... I can't believe March is already over! Hope you have a fantastic weekend friends. See you on Monday. xo. I think simple little insights like this are really interesting as they reveal all the tips and techniques which make people you admire the way they are. It's behind the scenes stuff. It's great. Thanks for sharing. I have a notebook for ideas and concepts I want to make art about, then a big drywipe note board for housework stuff and then I keep pin boards on Pinterest for any visual prompts or ideas on things I want to remember. It's so handy. I get so much done these days. 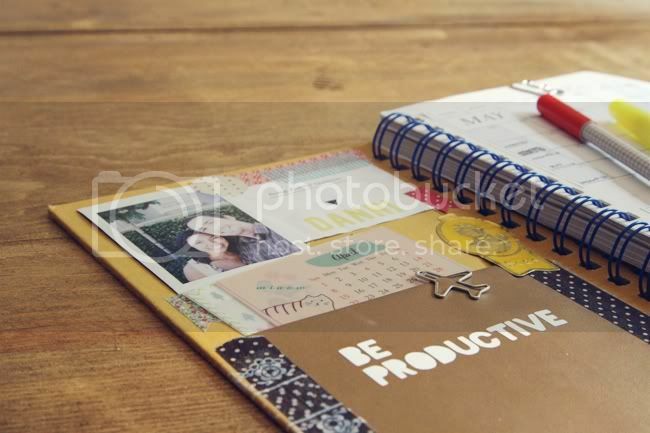 Having a daily notebook is a great idea! I currently use the post it/scrap piece of paper system. Just makes my desk and monitor look like a piece of bad paper art! Must try the notebook idea. Thanks for sharing. I use a bright red moleskine notebook. And I do in fact write things in that I've already done and then immediately highlight them in yellow. It's so satisfying to see it there - proof that I accomplished someting! Have you played I Shot the Serif yet? It's totes addicting. I used to do this, but got super lazy. And all my friends made fun of me for not using an electronic device. I'd take out my daily planner and they'd be like, "whoa! Is this 1999?" I love this!!! 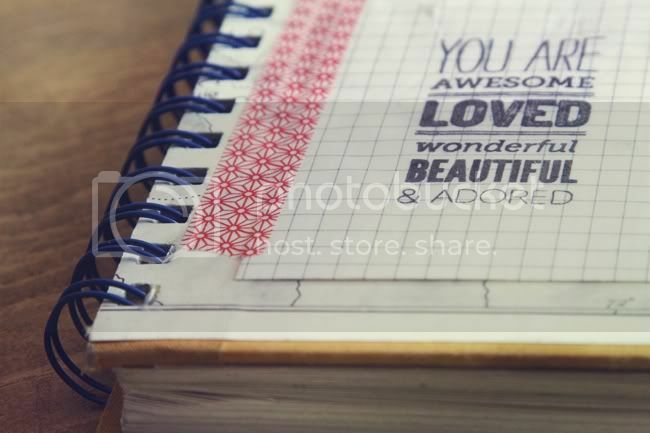 I've always kept a notebook like this too, but it's so wonderful how you have personalized it and made such a necessary part of the day/life beautiful. 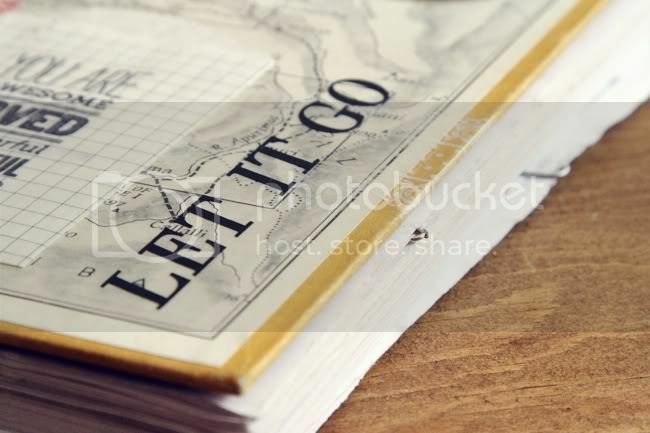 Would you ever consider making notebooks like this to sell? I would totally buy one!! Thanks for a great post. I love seeing how other people get organized. It's a great way to rethink my own organization strategy. Even though I consider myself a tech-savvy person, I have to have my planner. There's something about crossing things off my list that make me happy. Your notebook is too cute! I LOVE this organizer. I wish I actually did this sort of thing. I'm so reliant on my iPhone now that it's hard to get motivated to use paper. Thanks for all the links! 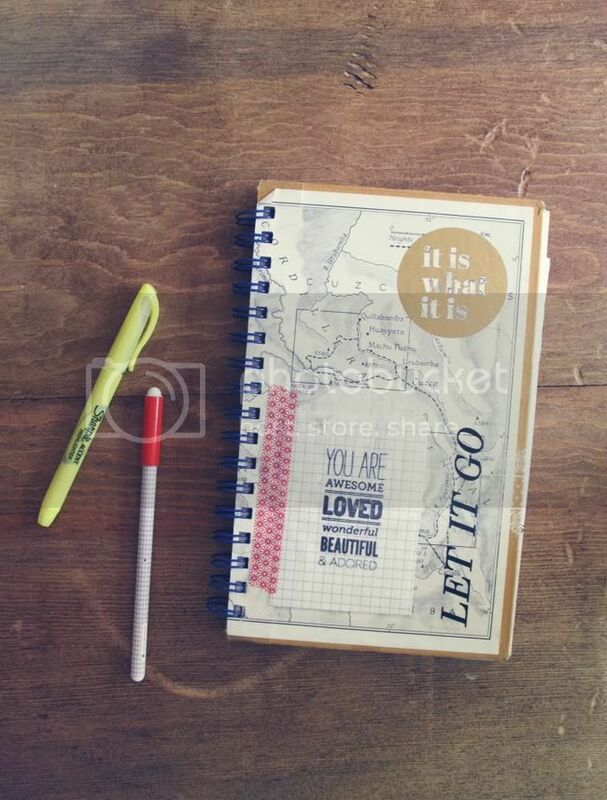 I NEED a notebook like this! Also, I am absolutely the kind of person who will write something I already accomplished that day on a list JUST to cross it off...you are not alone! This is super cute and creative. I have a notebook but it's boring looking and no fun so it gets tossed under my bed and ignored most of the time. I should spruce it up and maybe I'll use it more often ;). Loved reading this! Such a cute scrapbook notebook! Your notebook is so pretty! I love the be productive pocket. I stay organized the same way, to-do list apps just don't do it for me. Love your notebook! I am working on getting organized right now. 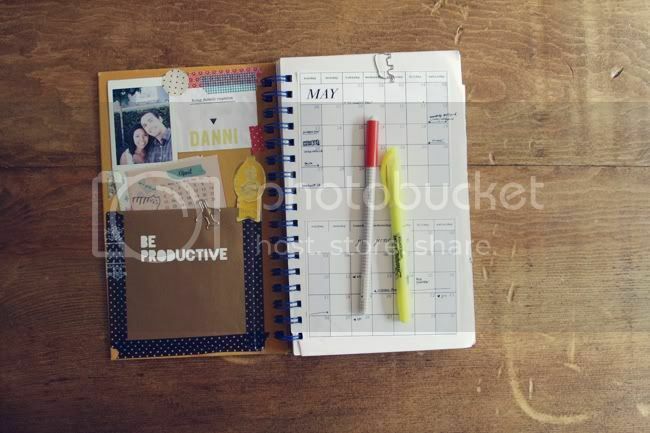 I like how you use the notebook for lists and a calendar. Sharing your notebooks was such an inspiration for me! Glad to know there are others who enjoy quirky little things such as adding a task to only cross it off the list right away! No harm in that!! Reading the comments made me smile, too! Thank you for the link to the Kern Me site. What fun to play with the letter spacing! Kind of "freeing" just to take time for something FUN!! Wow! One never knows where the internet will lead! what a great inspiration! Such a beautiful creative idea - i love notebooks and everything creative. I love this idea so much!! I think it is so worth it to make an inspiring planner that encourages you instead of stressing you out! Thank you for inspiring me to make my own and inspire myself instead of stress. Lists will save the world! :-) (And I too add things to mine just so I can cross them off). I help people all over the world declutter and create homes they love (http://www.mygreenandtidylife.co.uk). 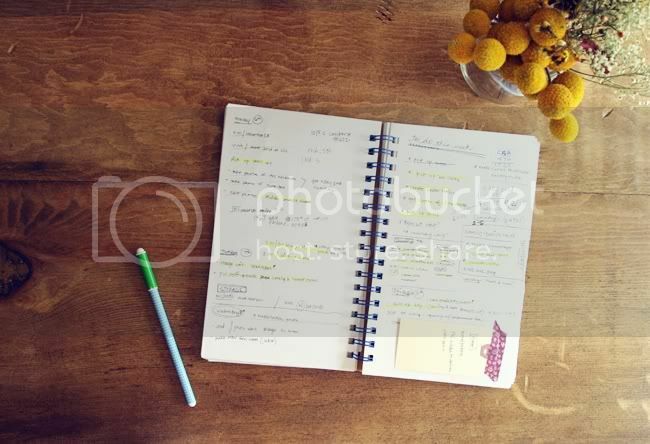 Organising stuff is closely related to organising time and I train my clients to make 'to do' lists and to schedule their time so as to increase their productivity. I love this! You've inspired me to make some improvements to my notebook system, which as it is, is not working very well. And you make it look so nice, too.